3201 leads the 9O19 10:19 Paris Gare du Nord to Waterloo service through Sandling station on a dull 8 September 2002, although at least it had just stopped raining! 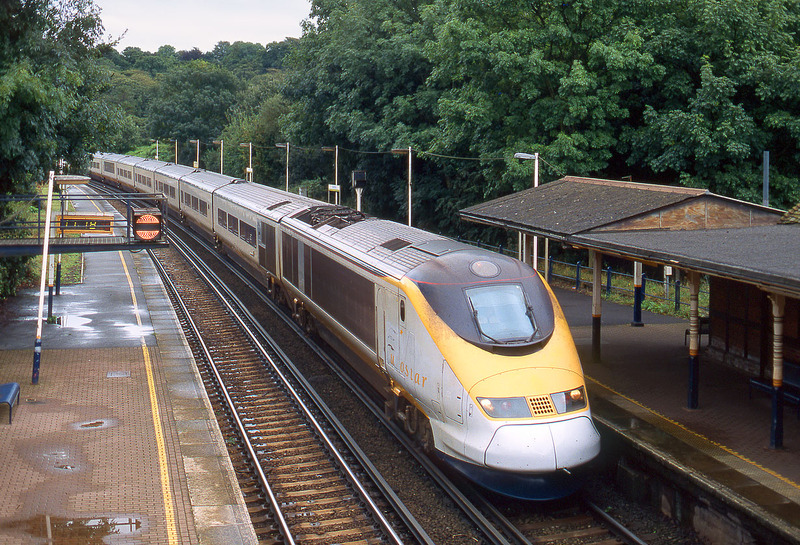 A scene that is now history as the Eurostars now use their own dedicated high speed route from London to the tunnel, and in any case have had their third rail collector shoes removed, making this scene impossible to repeat. Note the banner repeater signal on the left, giving advance warning of the aspect of the next signal.